Kit release: My Best Friend….and a chance to win! Hi everyone, I hope you’re enjoying the blog train! 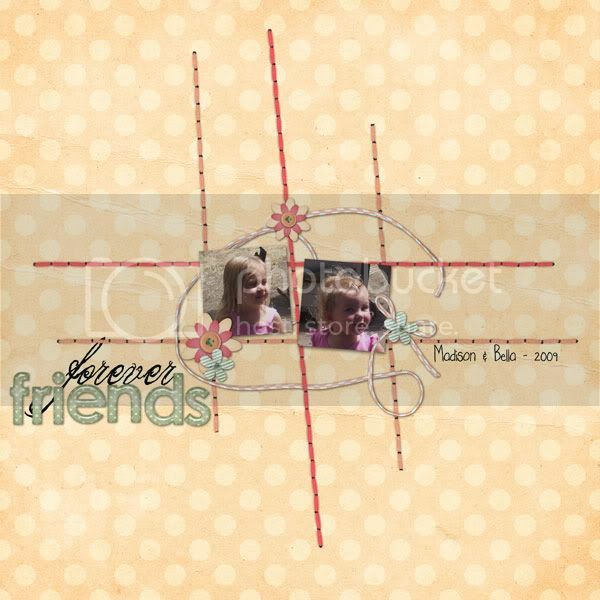 I have a new kit out this week to celebrate the grand opening, called My Best Friend! When I started out this kit was inspired by a Pottery Barn Kids catalog, but after I drew the little girls, it became a kit for my daughter and her best friend! Or you can save and buy the entire collection in a bundle! The images are all linked, and the entire collection is 20% off, this week only! And NOW, your chance to win this kit! Go check out the threads at DSA and DST and enter to win! I’ve decided that there will be two more chances from me to win a prize this weekend also…. leave a comment here on the blog and tell me your favorite kit in my Daydreamer Designworks store and one lucky winner will get that kit! AND, everyone who makes a purchase this weekend has a chance to win a $10 gift certificate from me! Any purchases made between Sept 11th and Sept 13th will be entered into a random drawing to win! And that is in addition to a chance to win a $25 gift certificate to the entire store, you can read about that HERE. I would have to say that my favorite kit in your store is your new one, My Best Friend. It would fit my daughter so perfectly. Thanks for this awesome chance. I LOVE the new store, it’s fabulous!!! I think my favorite kit has to be My Best Friend. I love them ALL, but if I had to say just one, it’d be that one! Thanks for all the chances to win! How faaaaaaaabulous are you!?? I say….really faaaaaaaaaaaaaaaaaabulous! My favorite kit is POND PLAY. I love the colors and elements. I have boys and I know that I would use this kit alot! Love your blog and thanks for the chance to win! I LOVE Fruits, Nuts and Other Family Members! I have a little picture book that I keep of all my family members for my kids so that they’ll remember who everyone is. We live over 1000 miles away from ALL my family and so we don’t see them even once a year. Some cousins, they’ve never met. Anyhoo, I was looking at it yesterday and it’s about 5 years out of date (my son doesn’t even exist in it!). So I need to update it. And boy howdy are my family a bunch of fruit and nuts! Thanks for the chance to win and congrats on your new store.